You have just started with your website recently, and you’ve been introduced to SEO. To begin, you read up on every single article about how you can get started with SEO, then you follow the steps to optimize your content. However, your website never shows up on Google even after several weeks or months working on it. As SEO beginners, it is almost inevitable for us to make mistakes seeing that we’re unfamiliar with SEO. Since I’ve made some SEO mistakes before, I hope to share my experience with all SEO beginners out there. I believe this is the most common mistake that every SEO beginner makes. Since we’re new to SEO, we tend to overlook the content because we often focus too much on SEO. But do you know that SEO and content writing are inseparable? Check out this cool infographic from Brafton where it shows the power of content for SEO. Content is as important as SEO for your website. I used to think that SEO has its magic wand to make our sites noticeable, even without a good content. But now that my knowledge towards SEO world has grown, I learned that we can’t leave content writing or SEO behind because both are equally important. Our site cannot be ranked without a good content, and our content wouldn’t be noticed without SEO. Keywords are one of the ranking factors in SEO. It is very important to aim for the potential keywords that will be able to help your website get ranked. Most SEO beginners will get confused on which keywords to aim, and which keywords are the right ones. You’ll end up targeting the wrong keywords where no one will search for your content if you don’t know what are the users looking for. So when you’re unsure, just imagine yourself as a reader. Think of what they will type on Google when they’re looking for something (user’s intent). If you are taking the keywords lightly thinking that it wouldn’t affect your ranking, you are wrong. I’ve experienced it before and my ranking dropped because I didn’t pay attention to the keywords. Back to my very first post, the title that I came up with was “Why I Started To Like SEO”. And I thought since I had to document my SEO journey as a beginner during the two-week training, I can target the keyword ‘SEO journal’. 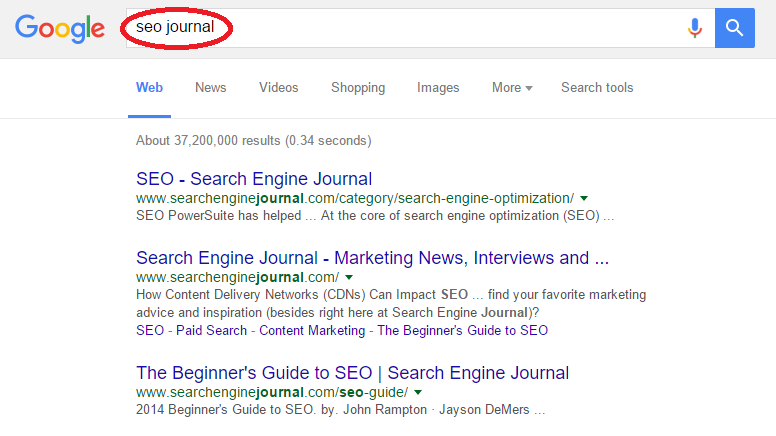 Think from a reader’s perspective: Will my readers search for the keyword ‘SEO journal’? This may be the reason why my first post didn’t get to be ranked on Google’s first page. Knowing that it doesn’t work, I changed the title to “A Beginner’s Perspective: Why I Started To Like SEO”. That is why it is really crucial for you to get the right keywords for your blog post. Keyword stuffing, which is also known as keyword spamming, is one of the most widely used black hat tactic. As a beginner, you’d want to avoid getting penalized by Google since you’re just about to start your SEO journey. Not only the search engines dislike keyword stuffing, it will also annoy the readers. I remember when I was offered a freelance writing job, I was required to include the same keywords in every single paragraph just to make the content ‘relevant’. But today, I realized that it wasn’t necessary because a relevant content doesn’t mean stuffing keywords in it. Keyword stuffing is not only eyesore for everyone’s reading, it is unattractive too. Just imagine reading the keyword ‘SEO for beginners’ in every single sentence. I’d flip the table reading such article. Do your readers a favor and don’t overuse the keywords. Instead, use the keywords sparingly in your content. If you’re afraid that your blog post will be over-optimized, there are tools such as SEOPressor that can help to control keywords usage. They said imitation is the sincerest form of flattery. Yet there are some people who took this type of compliment way too far. Being a writer myself, I wouldn’t like it when people are stealing my work. In fact, nobody likes it. Every piece of work is every writer’s hard work. Therefore, you wouldn’t want to plagiarize other people’s work. If that person found out about it, your reputation will be affected. Readers wouldn’t trust you anymore, and you will lose the credibility. When you imitate other people’s work, readers will feel that you’re not sincere in writing content for them. Worst of all, some readers will feel cheated because they have trusted you so much thinking that your content is original. Stealing someone’s work can damage your reputation and ruin your search engine rankings. For example, one of the famous plagiarism case of Jayson Blair. He was an American journalist for the New York Times. Blair resigned after NYT found out that 600 articles from him showed plagiarism from other sources or downright lies. And now that he is ‘famous’ in plagiarizing, there’s no way he can get back to the journalism career. You wouldn’t want to end up like him. As a beginner, no matter how hard it is to come out with fresh ideas, don’t give up. Keep writing and reading, then you will get more inspirations for your articles. To check the originality of your content and to detect who’s duplicating your content, you can use tool like Copyscape, which is a free plagiarism checker. I often get the same questions from my friends asking, “Isn’t SEO the same as PPC?” SEO and PPC are actually two different things. 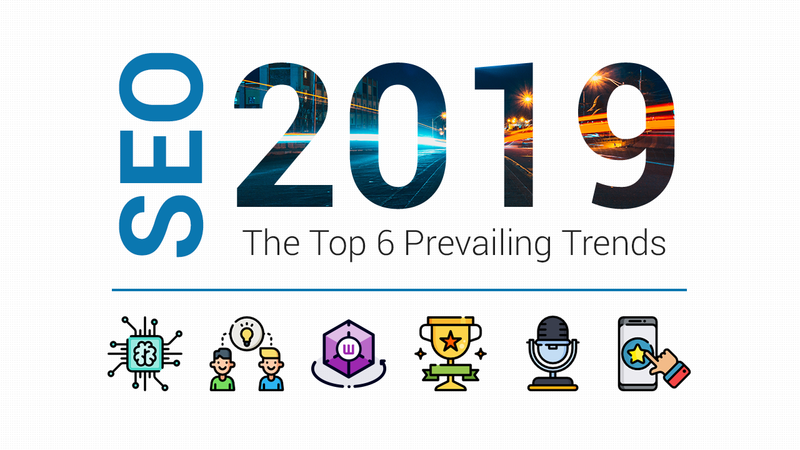 There are many articles out there that are constantly comparing among SEO and PPC to see which is the winner. Until today, the debate is still ongoing. But before that, we should identify the differences first. 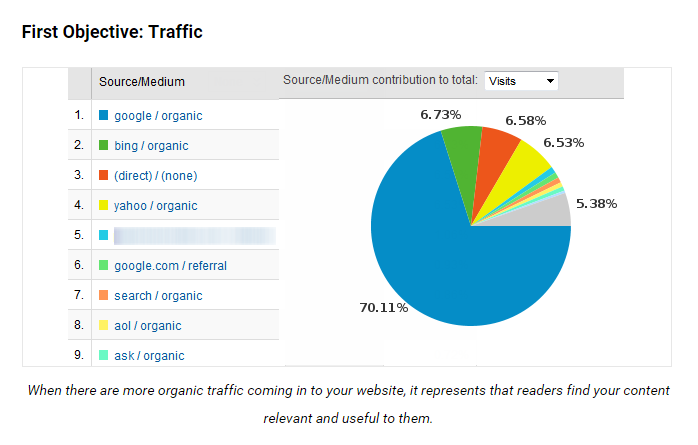 Organic traffic is the most natural traffic you can get. 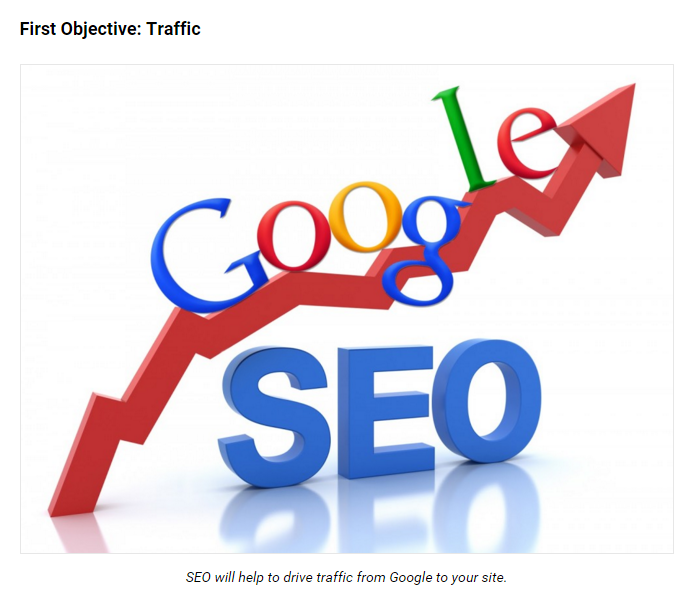 SEO basically refers to organic traffic. You can get on Google first page if your website is well optimized for search engines. While PPC are the paid search results that usually appear at the top side of your search results page with the word ‘Ad’ highlighted in yellow. There are a lot of stock images out there that you can use it for free. However, there are the good and bad ones. When using stock images, you should always choose the appropriate image that adds value to your content. There are images that will drag the quality of your blog post down because it’s not appealing to the readers. Do you get any beneficial information from this image? To compare, this image makes better sense because it contains useful data. Readers prefer to look at the images that they can obtain information from rather than images that are plainly boring. It’s the best if you can take or create an image by yourself. In this way, you’re being original. To create images for your content, Canva is a simple graphic design tool that everyone can use. It is a good alternative for people who don’t know how to use Photoshop or Illustrator as it saves a lot of time. From my experience, I learned that images can actually affect your article because without relevant images, readers will lose interest in reading your blog post. You have to remember, there are so many similar content out there, but what makes yours stand out? Don’t neglect the ALT text for your images because it plays a role in SEO. ALT text in images can help you to get ranked. When you see a baby crying in the picture, you know what’s happening, but Google doesn’t. ALT text helps search engines to find out what the picture is about. To simplify, the purpose of ALT text is to let search engines understand your image, then determine the best image for a search query. Not only you need to optimize your keywords, you have to optimize your images as well. Just in case you couldn’t be ranked for your content, you can at least be ranked for images. But don’t ever forget your main goal – organic traffic. Almost every time after publishing my blog post, I thought, “This is it. My work is done!” But I was wrong. SEO is constantly changing. And we should, too. It’s a good thing to optimize your content from time to time to produce a better content for the readers. At the same time, you are bringing in more new visitors to your website and increase your rankings with search engines. Previously for my SEO copywriting post, I have amended the blog post because it wasn’t good enough. After editing it, my blog post received more traffic and feedback compared to the first few days. As you can see, the traffic started to drop after I published my post on 5th Nov (before optimizing the content). But things changed after I started optimizing the content on 7th Nov.
That is why it is important to check your work. Reread it over and over again until you feel like there is something not right about a particular sentence, then change it. Who knows if your latest content produces a better results? Do you know that internal linking helps in ranking? After publishing your post, always remember to link your previous post to the current post. By applying internal linking, you are helping the search engines to discover more pages for your website. Other than that, you are also helping the readers to find out more about the subject that they are interested in. In this case, you are making things easier for your readers. Not only internal linking are helping the readers, internal linking also helps to build your reputation. When readers see there are so many links of yours that are linked to one another, they will feel like you are an experienced writer and they will trust you. Adding related links help readers to get more information. 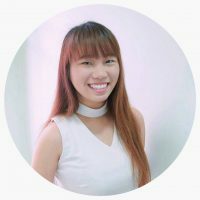 Let’s take my SEO journey as an example. If I didn’t link my posts from one to another, readers will feel confused on where they can read my previous post. Readers wouldn’t want to have the hassles of searching all over the blog for the post that you mentioned. Instead, linking it in your post will be a huge help to the readers. Set a deadline for yourself to publish your post. If you don’t publish consistently, you will lose followers and readers. They don’t know when you are publishing your post, and they will get tired of waiting. So, plan your schedule and be consistent. Stick to your plan and make it a habit of posting on time. Then, readers will not lose interest and feel that you’re sincere in writing for them. This is how we keep up with our schedule in SEOPressor. You can use Trello to plan your schedule. Let’s say you want to publish a blog post on Friday. Then, you should start planning your outline on what you want to write for your post on Monday. After that, carry on with your writing and editing for the following days until you publish it on Friday. Getting the fundamentals of SEO right on point can be difficult for SEO beginners, especially those with little experience as a webmaster. There are times when we tend to be forgetful. Therefore, always check from your SEO seniors or refer to people who are experienced in SEO. By fixing these avoidable mistakes, your content will be seen and heard better than before. Overlook the importance of content. Aiming for the wrong keywords. 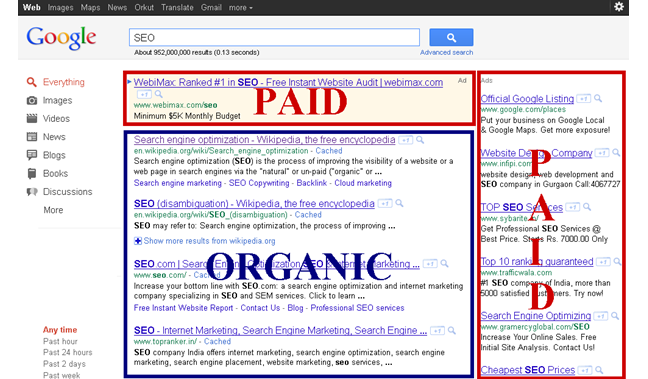 Mistaken SEO as PPC (Pay Per Click). Hitting ‘Publish’ button doesn’t mean job is done. Lastly, make sure not to repeat the mistakes listed in this post and as always, don’t forget to optimize your content as well! What other SEO mistakes that you’ve done before, and ways that you can think of to fix them? Let’s discuss in the comments below.